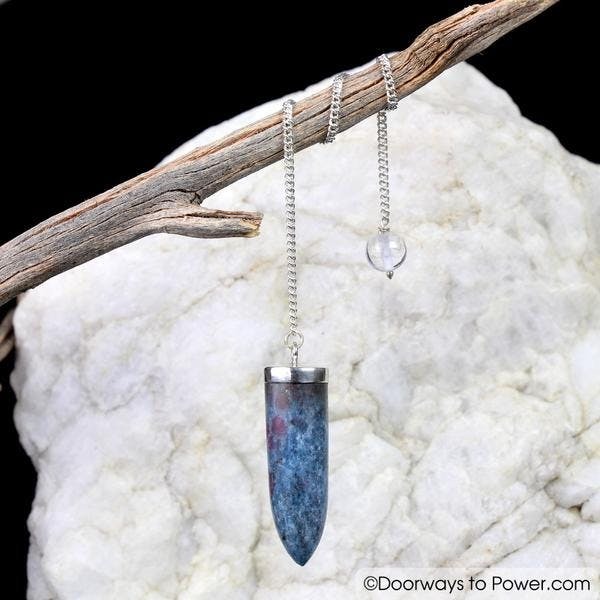 A Ruby Kyanite Crystal Dowsing Pendulum of Exceptional Quality. Insights and 'downloads' from Spirit intelligence's. Received this pendulum a few days ago and I was moved to get it. This is a beautiful pendulum. timely delivery, good workmanship, lovely stone, i am very pleased!! !